Usually we know,most of company or users have their own email system or server,but most of them can not be used to send mass emails for the email marketing,because it is so easy to be blocked and blacklisted, especially the ISP or the email hosting restrict you sending bulk emails.But with our Unlimited Smtp Server,we can throw up those restrictions,let’s enjoying the email marketing trip. The Unlimited Smtp Server include:Unlimited Email System and VPES(Virtual Private Email Server). Why do you need choose our Unlimited Smtp Server? If you just bought the bulk email software,you can also send emails,but you need use your own smtp server or free smtp server (gmail,yahoo etc. ),but most of user don’t have it,or there is strict to send emails,so we have the unlimited email server,it is for creating email accounts and smtp server,we can use them to send unlimited emails with bulk email software.But right now,there are more and more users install the email server and bulk email software on their own computer,it means all the emails will send through their ISP ips,it is so easy to be blocked and blacklisted,so we have the vps to resolve it,we will install the email server on the vps,and install the bulk email software on your computer,but all the emails send through the vps,the email server installed there.so VPES + Unlimited Email Server + Bulk Email Software,it is the best email marketing solution. Build your own mailing system on VPES hosting. It is like as if you have your own Post Office and send unlimited emails. Free smtp is undependable，the paid one is sky high price and still limited. With a vpes hosting, we help you install a mailing system and then configure it to a mail server. VPES is short form of Virtual Private Email Server. It is nothing to do with your ISP and if we install a mailing system on your local computer and send emails with your ISP, it is easy to be blocked. We are an integrated email marketing solution provider, so we spare no effort to help you solve any problem related to email marketing. 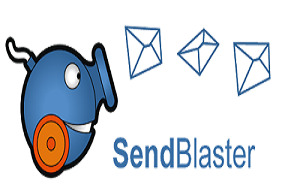 May be you have purchased sendblaster, Advanced Mail Sender, Wordcast, mailchimp,vertical response,constant contact…but we dare say,on one hand,you can do nothing with only a single software,it is impossible to launch your email marketing business; on the other hand,may be it is too expensive,unaffordable and the effect is not guaranteed either. · Supports Multiple Domains · Mail Forwarding and Relaying · SMTP Authentication · Catch-All Forwarding · Ability to monitor and kill connections · Logging with easy copy to clipboard feature · Auto-Logon and Run on Windows startup · Sits in the system tray when minimized · Blacklist (Ban List) · Integrated DynDNS (www.dyndns.org) IP update client · Integrated No-IP (www.no-ip.com) IP update client · Need Static IP system.